Dogs were able to disrupt the thugs who were digging up Ivan Semwanga's grave. Inset is Zari on her last visit and the money on the grave that the thugs wanted to remove. 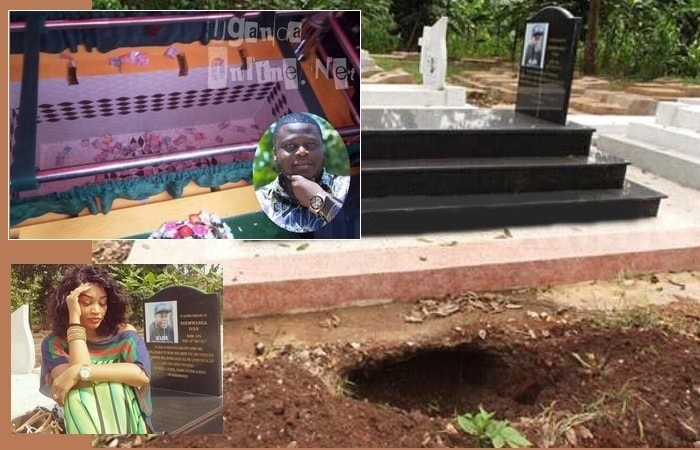 Ivan Semwanga's grave was desecrated in an attempt to remove the money that he was buried with. 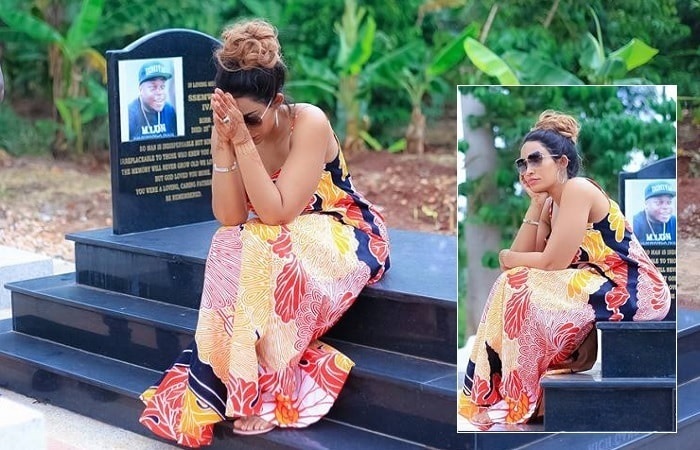 Zari's ex husband, Ivan Semwanga, father-of-three (39) passed away in May 2016, a week after suffering a head injury that resulted from over drinking, the head operation was not successful. During his burial, Don Ivan, as close buddies referred to him was buried with US dollar bills, South African Rands and Uganda shillings among others. The grave had Uganda Police cops guarding it in the first months and later, locals were entrusted with the duty of ensuring that their son can rest in peace. Thugs have always had a different plan all together, which is putting the money in the grave to good use and this was almost achieved except for the dogs that barked non stop after realizing that the goons were up to some dubious activity on Semwanga's grave. Security has since been heightened. Meanwhile, the Rich Gang Party that was slated to take place on December 19, 2017 has since been cancelled citing family matters. In a statement issued by Prince MJ who replaced Ivan, he adds that; "We are going to have the tombstone unveiling for the late Don Ivan and a memorial service for their late grandfather. Sorry for the inconvenience, till next year." Fans are left wondering whether it's what it is or the economy is biting, others are of the view that they should use the money to ensure the peace of the Don is not disturbed.